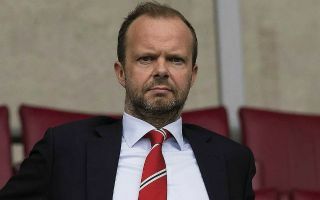 Manchester United are reportedly ready to turn down big money for midfielder Paul Pogba as Ed Woodward seems to have made up his mind on the France international. Despite being inconsistent at Old Trafford for much of his time since rejoining the club from Juventus in 2016, it seems Pogba is going nowhere. That’s because Woodward sees the 25-year-old as one of four main players the club can build around for years to come, despite some possibility of the player returning to Juventus for as much as £125million, according to the Telegraph. This may well end up being the right move by United, but it must also be a tad risky given the way Pogba struggled so much under Jose Mourinho. We now finally seem to be seeing the real Pogba as his confidence has been boosted by Ole Gunnar Solskjaer taking over until the end of the season – but what if he doesn’t get on with the next long-term appointment? The World Cup-winning star clearly has immense talent, but one imagines some fans would take something like £125m to replace him with a stronger and more reliable character.